Surround yourself by a contemporary Italian lake setting for an incredible dining experience at Cafe Lago Buffet. 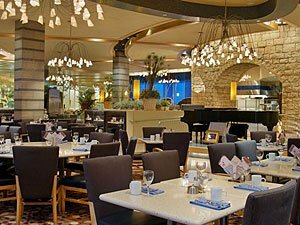 Cafe Lago Buffet features diverse, international breakfast, lunch and dinner buffets daily and Saturday/Sunday brunch buffets. Featuring the freshest ingredients and many made-to-order specialties, including a world-class selection of Asian fare, herb-roasted poultry and sauteed pastas. Enjoy the weekend champagne brunch with omelets cooked to order, hand-carved, herb-crusted prime rib, eggs Benedict, fresh jumbo shrimp and crab legs on ice.